Wines for Thanksgiving available at Central Market. 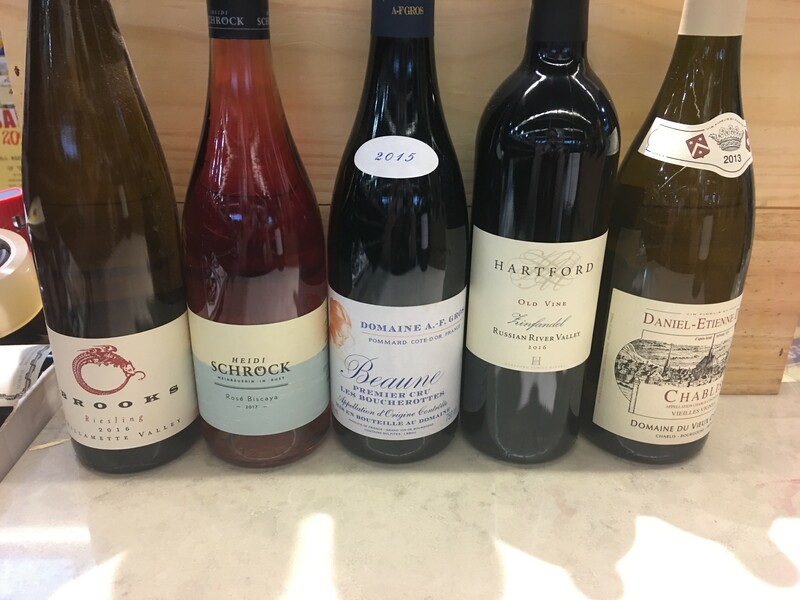 From left to right: Brooks riesling from Willamette Oregon, Heidi Schrock rose, Domaine AF Gros Beaune pinot noir, Hartford zinfandel from Russian River Valley, Daniel Etienne chablis. Photo by Samantha Morris. Since the Thanksgiving holiday’s modern inception in the late 1600s, wine has become a tradition. (For the pilgrims, it was cider and that’s a possibility even to this day, too.) Not only do certain types of wine complement the meal, but it’s a wonderful — sometimes essential — “social lubricant” that softens the edges of those touchy conversations that can result when hosting family and friends. Considering the diversity of flavors in the holiday menu, it can be a challenge to pick the appropriate wine to pair with it. 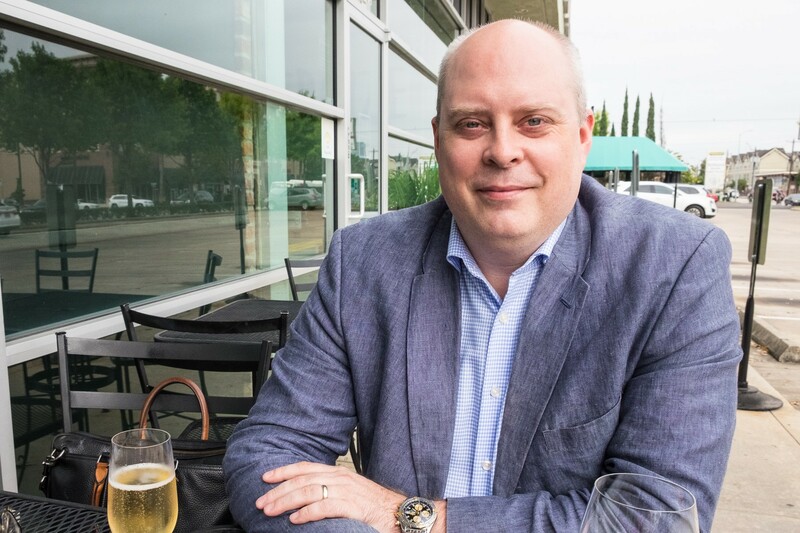 Thankfully, some of Houston’s finest sommeliers graciously shared their advice on Thanksgiving wine selection. To make it even easier and accommodate last-minute shoppers, we challenged them to pick wines available at area grocery stores. While there are fine specialty stores in Houston, such as Houston Wine Merchant, sometimes a corner store run is simply necessary. Adele Corrigan of 13 Celsius. Photo by Phaedra Cook. 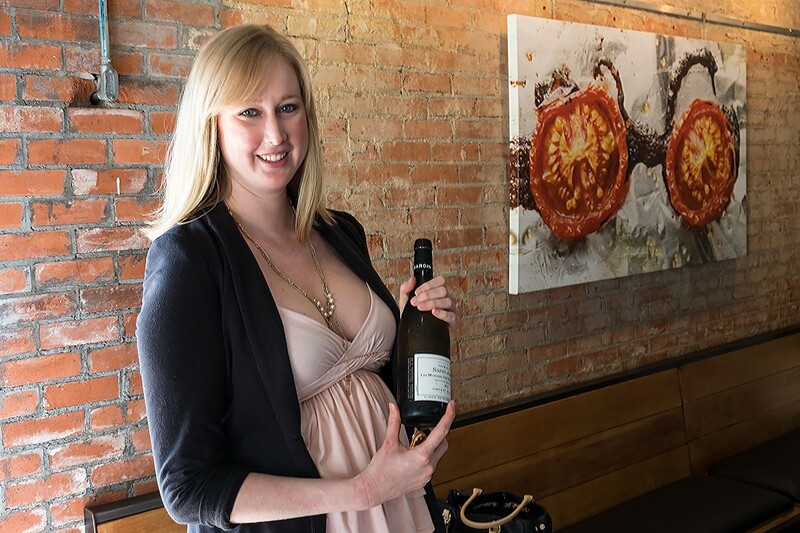 Adele Corrigan, general manager at 13 Celsius, 3000 Caroline: Corrigan is well known for her work at this popular midtown wine bar and recently also started overseeing Mongoose versus Cobra. She perused her local Randalls and found several great options available. Schramsberg blanc de blancs is a bright bubble to start your Thanksgiving meal. Photo by Adele Corrigan. Schramsberg Blanc de Blancs, sparkling wine California, 2014, $39.99: “I love this wine,” says Corrigan. 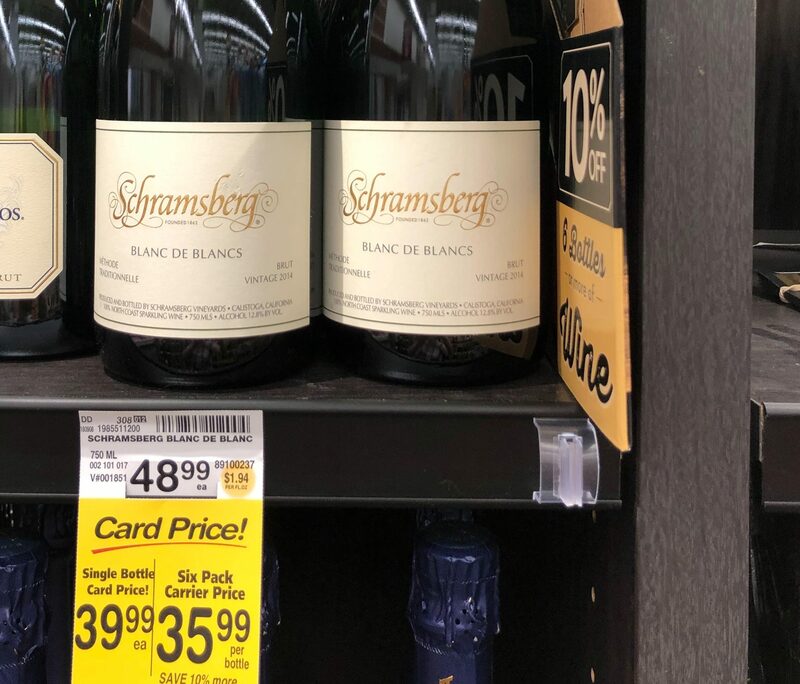 “I think Schramsberg is one of the best Champagne-style sparkling wines coming out of the New World.” This is a dry and well-balanced bubble with bright citrus flavors and vibrant acidity. 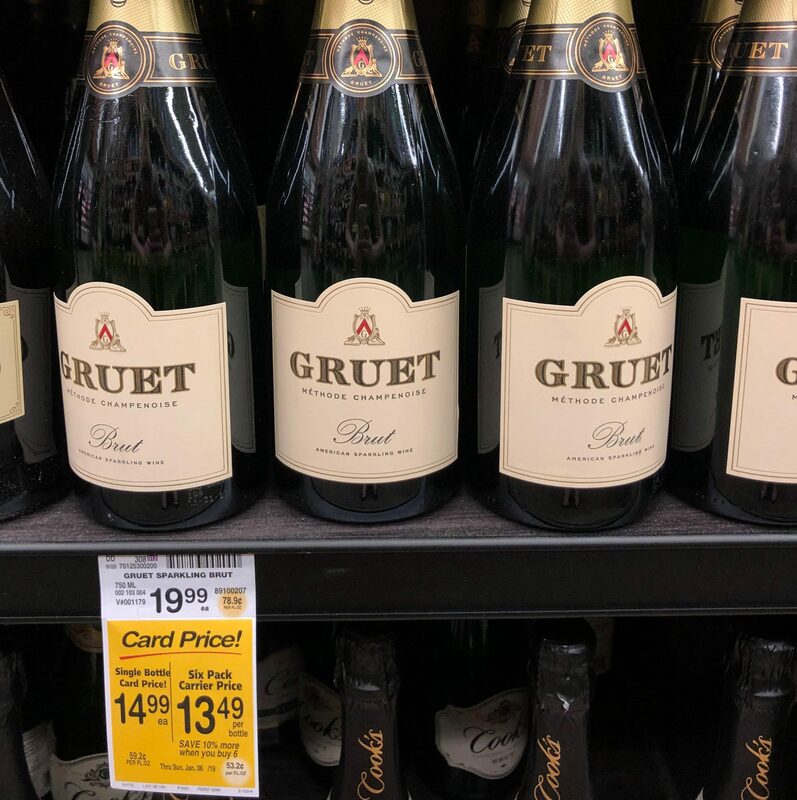 Perhaps the best sparkling wine for the price, Gruet, available at Randall’s for $14.99 with member card. Photo by Adele Corrigan. Gruet Brut sparkling wine, New Mexico, NV, $14.99: This is one of the best values to be found in sparkling wine. The green apple and grapefruit flavors in this non-vintage wine make it a delightful start to any occasion. Start your Thanksgiving with rosé from Côtes du Rhône for $11.99 at Randalls. Photo by Adele Corrigan. 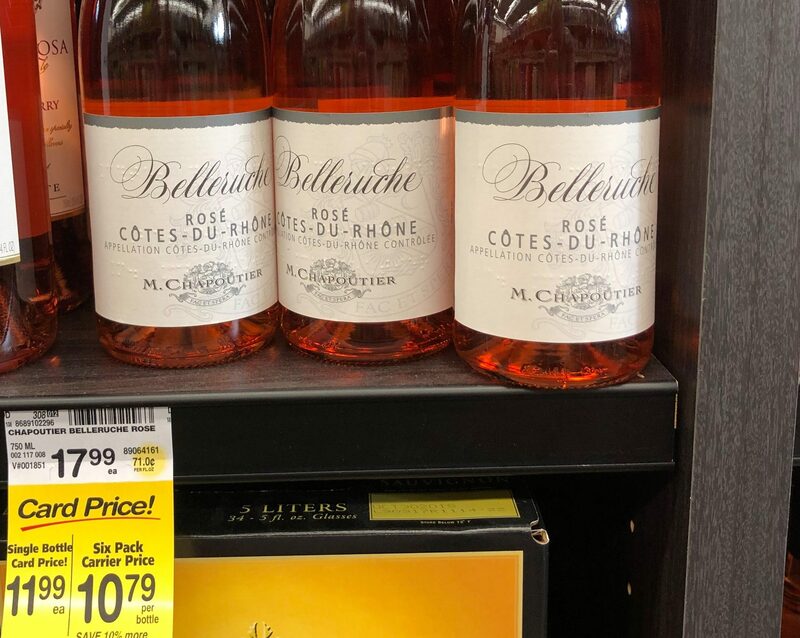 M. Chapoutier “Belleruche”, rosé Côtes du Rhône France, 2017 ($11.99): “There’s a good chance it’ll be in the 80’s [in temperature] this Thanksgiving and, to me, that is rosé weather,” Corrigan said. This Chapoutier estate wine from the Rhone is a dry and earthy choice with a bright sour cherry and raspberry flavor. The zesty acidity finishes cleanly and complements fresh vegetable dishes. Villa Antinoir Toscana, Tuscany Italy, 2014, $21.99: This blend of Sangiovese, Cabernet Sauvignon, Merlot and Syrah grapes has a ripe red berry flavor and a well blended pepper and vanilla quality from the oak. The light tannins and savory finish makes it suitable for the entire table. Trefethen Family Vineyards Oak Knoll Cabernet, California, 2014, $59.99: This wine is on the higher end of the price scale, but the flavors of blackberry and dried fruits are elegant and are well-worth the price tag. The body is round and stands up to alternative proteins like duck or beef tenderloin. Seghesio Zinfandel, Sonoma County California, 2016, $25.99: “This was the first bottle I ever ordered in a restaurant as a 21-year-old, so it holds a special place in my heart,” Corrigan said. The intense fruit and jam-like quality of this wine makes it suitable for hearty stuffings, rich casseroles and especially pie. 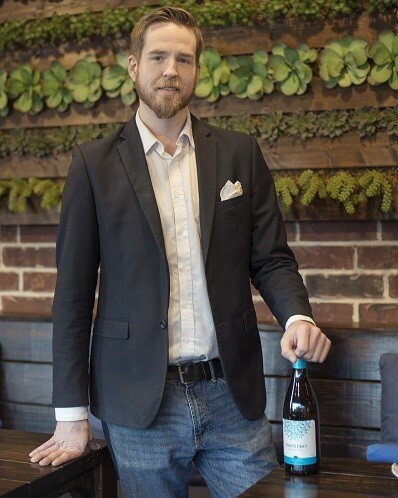 Houston sommelier Eric Hastings. Photo by Phaedra Cook. 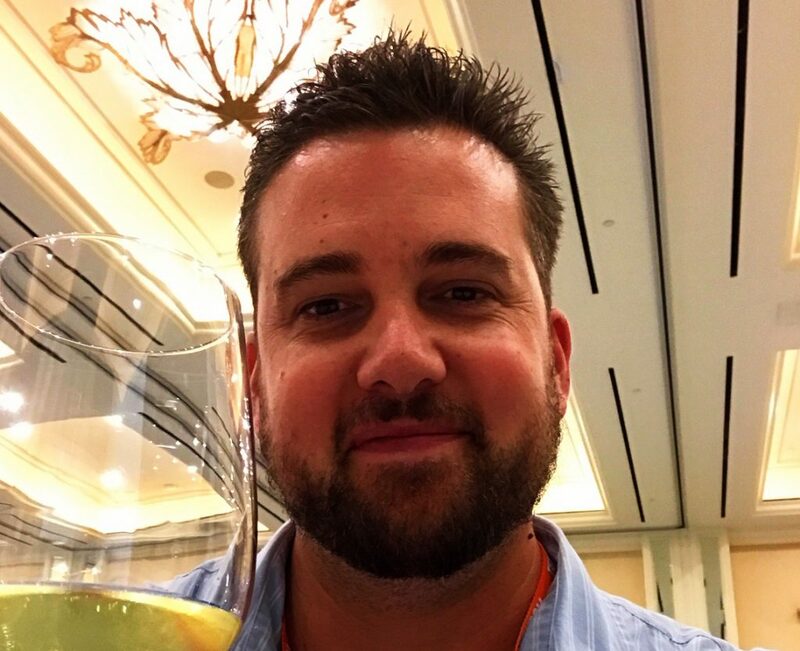 The Expert: Eric Hastings, professional sommelier formerly of Del Posto, Jean Georges and Lasco Enterprises. 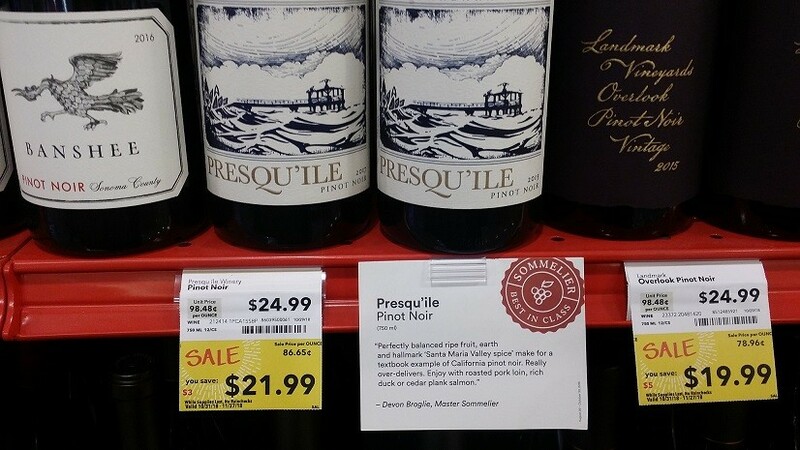 Presqu’ile pinot noir from California for $21.99 at Whole Foods. Photo by Samantha Morris. Presqu’ile, Pinot Noir Santa Barbara California, 2017, $21.99: A fruity and spicy Pinot Noir that pairs well with roasted meats but doesn’t overwhelm the meal. 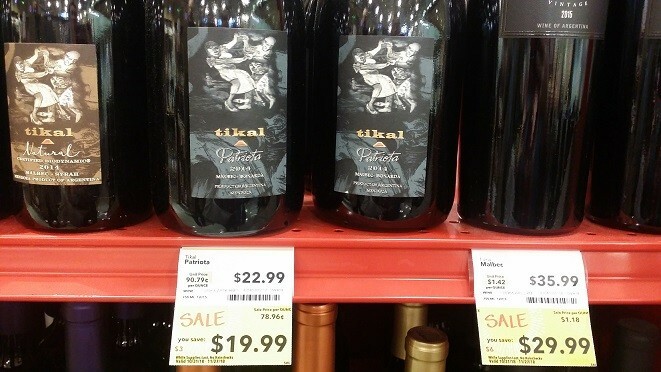 Tikal Patriota for heartier proteins at Thanksgiving available for $19.99 at Whole Foods. Photo by Samantha Morris. Tikal Patriota, Malbec-Bonarda blend, Argentina, 2014, $19.99: This wine is best for pairing with heartier proteins like roast beef, lamb or steak. The Malbec creates a rich full-body that’s tempered by the Bonarda and has flavors of dark fruits and spices. G.D. Vajra, Barbera d’Alba, 2016, $21.99: This is a delicious wine from Italy’s Piedmonte region. It is an incredible value that pairs well with a holiday table. Alsace Gentile Hugel, France, 2016 ($13.99): This wine is from all noble grapes and is a great all-purpose white wine for the table. It’s bright and dry and cuts through richer foods with aplomb. Russ Stephenson, wine buyer for Central Market. Photo courtesy of Russ Stephenson. Central Market is also running a wine deal through November 21: purchase six or more pinot noir or rosé and receive a 20-percent discount. Wines for Thanksgiving available at Central Market. 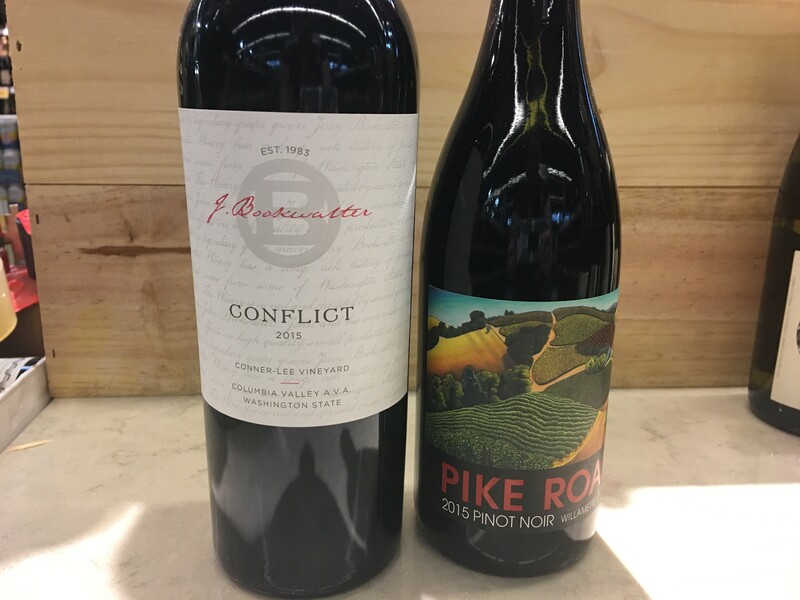 From left to right: Bookwalter red blend, Pike Road pinot noir. Photo by Samantha Morris. Pike Road Pinot Noir, Willamette Valley, 2015, $19.95: This wine from Elk Cove’s sister vineyard is medium-bodied with black cherry on the nose and a spicy black fruit on the palate. Domain AF Gros Beaune “Premiere Cru”, Boucherottes, 2014, $79.99: Boucherottes is located in the walled southern end of Beaune in the Burgundy region, so this wine has an entire spice rack of flavor and a firm and ripe tannic structure. It has hints of rose petal and earthy black cherry on the finish. Heidi Schrock “Biscaya” Rose, Burgunland Austria, 2017, $18.99: Famous winemaker Heidi Schrock delivers on this beautiful rosé composed mostly of lagrein, petite verdot and pinot noir. The flavors of light red fruit and a beautiful acidity allows this wine to pair with just about everything. Wines for Thanksgiving available at Central Market. From left to right: Brooks riesling from Willamette Oregon, Heidi Schrock rose, Domaine AF Gros Beaune pinot noir, Hartford zenfandel from Russian River Valley, Daniel Etienne chablis. Photo by Samantha Morris. Bastide de la Ciselette, Bandol France, 2017, $32.99: This gorgeous rosé has more body to it allowing it to stand up to heartier Thanksgiving fare. It has high minerality with a brambleberry profile and a hint of strawberry. Santa Barbara Winery Chardonnay, Santa Barbera California, 2017, $16.95: The blend of stainless steel and used oak creates a Chardonnay that maintains its brightness and avoids the flabby, buttery quality of many domestic Chardonnays. The flavors of green apple, fig and ripe melon with a brioche, sage and honey nost make this wine great for Thanksgiving. Daniel Etienne Defaix “Vieilles Vignes” Chablis, France, 2013, $39.99: This Chablis is a beautiful expression of true Chardonnay. It has a light flinty and honey nose that leads into intense minerality and a complex white peach finish. Krugar Rumpf Trocken Riseling, Germany, 2016, $17.99: This is a dry Riesling with a great nose and a palate with hints of guava, passion fruit and Meyer lemon. It finishes with a great acid and mineral quality that cuts through rich foods. Brooks Riesling, Willamette Oregon, 2016, $23.99: This is another dry Riesling with hints of key lime, kiwi and tangerine. A delicious salinity makes this a great pairing for the entire table. Wines for Thanksgiving available at Central Market. 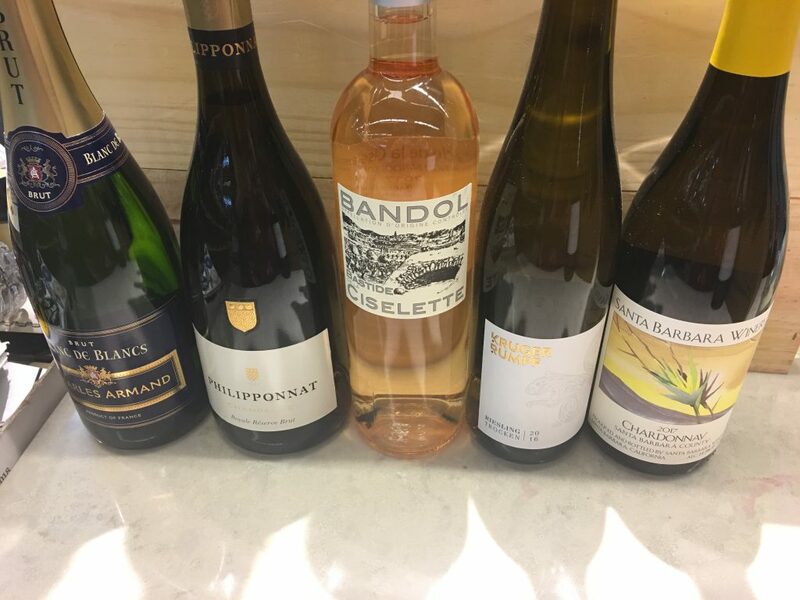 From left to right: Charles Armand blanc de blancs sparkling, Philipponnat sparkling, Bastide de la Ciselette rose, Kriger Rumpf dry riesling, Santa Barbara Winery chardonnay. Photo by Samantha Morris. Greg Starks of Helen in the Heights. Photo courtesy of Greg Starks. Kir Yani Akakies, sparkling rosé, $17.99: This wine is made from the Xinomavro grape that’s grown in the northern state of Macedonia in Greece. It is often compared to Nebbiolo but has a bigger body. Stark says it’s “like drinking strawberries in the summertime” and adds that “it’s crisp and bright with a beautiful full body and red fruit notes for days.” Pair the Kir Yani Akakies with pre-Thanksgiving appetizers or with dessert. It is available at Kroger. Glinavos Palekorisio, semi-sparkling orange wine, $14.99: This style of wine has been made in the Ionian islands of Greece for roughly 3,000 years, according to Stark. It’s comprised of late harvest grapes so it’s a little sweeter, but not as sweet as a dessert wine. The nose has hints of marinated olives but on the palate it’s all fruit and minerals. Although the acid is soft and subtle, it is still prevalent. Stark also recommends this as a starter or to complement desserts. It is available at H-E-B. Whether you’re having fried turkey, roasted turkey, prime rib, lamb, smoked duck or pork loin, Houston’s major retailers have the wine you need at the prices you love to make counting your blessings a breeze.